Athens spray foam insulation is liquid polyurethane that dries into a tough foam consistency over a surface. Because it’s liquid, it can fill in tiny cracks and holes that fiberglass can’t protect. 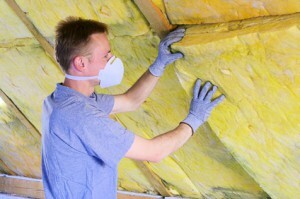 Athens spray foam insulation also doesn’t come with any health risks. Fiberglass is made up of wiry, pink fibers that can make the skin sore and itchy if exposed to it. These fibers come loose and can be inhaled. Breathing in the fibers can cause lesions inside of the mouth and esophagus. Spray foam doesn’t have tiny particles that break off and float into the air. It’s also harmless to the touch, but is so durable that it does not crumble off anyways. There are many different ways that you can improve the energy efficiency of your home, and there are also many little factors that go overlooked by the majority of home owners. These can be things from improperly sealed windows and doors, to a lack of insulation in certain areas of your home. If you want to improve the energy efficiency of your home and maximize your savings, you will need a visit from a total home efficiency specialist. If you’re looking for a professional Athens Spray Foam Contractor, then give us a call today at 678-561-FOAM or complete our request estimate form.